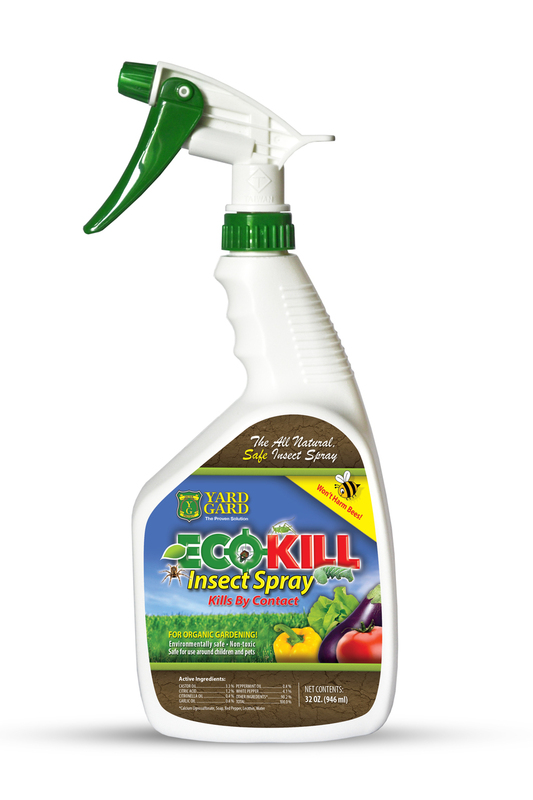 I was sent several bottles of Eco Kill to try out on my garden this year to see if it would help keep the insects away naturally. I tried Eco Kill out because its all natural and non toxic and it’s safe around children and animals. I sprayed my vegetables and herbs with it several times. I also gave a bottle to my mom to use on her garden and she liked that it was all natural and didn’t have a bad smell. The ingredients are castor oil, white pepper, peppermint oil,citric acid, citronella oil, garlic oil,soybean flour, red pepper, lecithin and soap. Yard Gard ECOKILL organic insect killer is for outdoor use on home lawns and gardens. Our all natural spray is eco-friendly friendly using only organic ingredients. It is safe for use around children and pets and can be applied to plants the same day of harvest so that you can eat you produce without the danger of poisions and other harmful prodcuts. Ecokill will not harm the environment while still giving you effective insect control. Our product does not kill bees that help pollinate your garden. With ECOKILL you can effectively garden worry free! Yard Gard ECOKILL organic insect killer kills a variety of caterpillars, moths, flies, spiders and other bugs including army worm, Japanese beetle, cut worm, diamond back moth, squash borer, loopers, crickets, grass hoppers, aphids, snails, earwigs, leafhopper, locust, spiders, leaf-footed bug, Lycaenidae moth, leaf miner, roaches, chinch bug, nematodes, and more! Take your garden to the next level while still protecting the things you love. With Ecokill you can effectively protect your lawn and garden without polluting the soil or causing harm to you lawn and family.